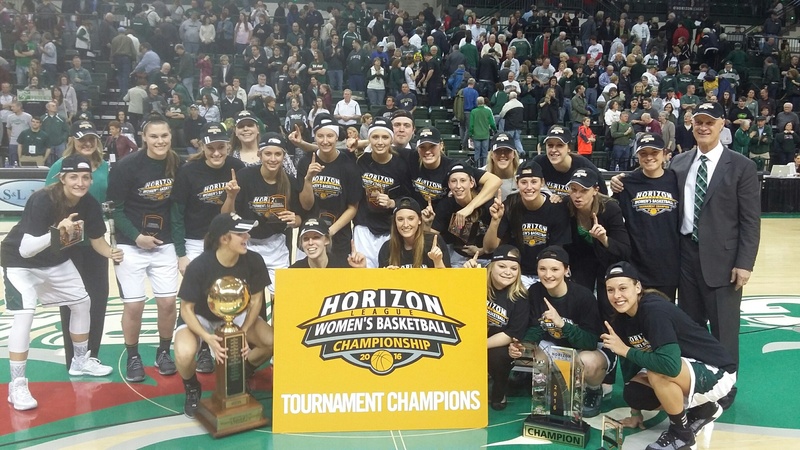 For just the second time in the last nine Horizon League seasons, a team other than Green Bay has claimed the tournament championship and the automatic bid to the NCAA Tournament that goes with it. The Phoenix fell to Wright State 55-52 in the title game on Tuesday in Detroit. The Phoenix (22-9) was shooting for a fifth-straight tournament championship. Instead, the Raiders are headed to the NCAA Tournament for the second time in their history. Green Bay, which shot just 37 percent from the field, trailed for much of the game but forged a 49-49 tie with 90 seconds left to play. Wright State, which shot just 31.6 percent from the field, eventually prevailed. Mackenzie Wolf led Green Bay with 10 points, the only player in double figures for the Phoenix. Wolf was named to the All-Tournament team. Green Bay is a long shot at securing an at-large bid to the NCAA Tournament, but could find their chances of securing a spot in the WNIT much better. The WNIT field will be announced next week. The Green Bay Phoenix women’s basketball team broke into the A.P. Top 25 for the first time this season, coming in at number-23. The Phoenix have a pair of Top 25 wins this season, including Saturday’s victory over previous number-23 Marquette. The Golden Eagles have fallen out of the Top 25 this week. The Phoenix enters the poll with a 7-1 record. Their only loss came in the Cancun Challenge against 2017 National Finalist No. 7/3/ Mississippi State. Green Bay currently boasts the top statistical defense in the country, allowing 45.4 points a game to start the season. Among the schools first eight games, four of their opponents had taken part in the 2017 NCAA Tournament. Green Bay Phoenix women celebrate their matchup against Purdue. The Green Bay Phoenix women’s basketball team received a number-eight seed and will play 9th-seeded Purdue in the first round of the NCAA Tournament on Friday afternoon (4 p.m. ESPN2) in South Bend, Indiana. The Phoenix played at the same venue earlier this season, facing then, number-one ranked Notre Dame. Green Bay took the Irish to the wire before suffering a 71-67 loss. Green Bay and head women’s basketball coach Kevin Borseth have agreed to a contract extension through the 2020-21 season on Friday. Borseth, who recently led the Phoenix to its 18th-consecutive Horizon League title and 16th NCAA Tournament appearance, will be entering his 14th season overall at Green Bay and owns a winning percentage of .792 with the Phoenix. Last season, Borseth led Green Bay to a 28-5 overall record, paired with a 16-2 mark in conference action and secured the program’s 17th-straight 20-plus win season. The team also notched its 39th-straight winning season, which stands as the second longest active streak in the nation. Borseth owns a career coaching record of 635-255 and surpassed 400 Division 1 wins last season. He has coached a total of 29 years, including 13 years for Green Bay where he has amassed an impressive record of 323-85. 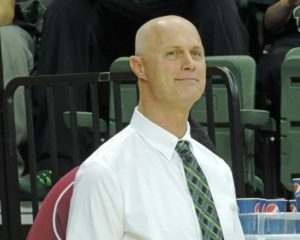 He has garnered Horizon League Coach of the Year honors in eight of his 13 seasons at Green Bay and will look to lead a roster of all Wisconsin student-athletes to the program’s 19th-straight Horizon League title. The Phoenix will official tipoff the 2016-17 season on Friday, Nov. 11 against Elon at the Kress Center in the Preseason WNIT. Green Bay Phoenix head coach Kevin Borseth has been named the WBCA D1 Women’s Basketball Coach of the year for the second-straight season. Borseth led the Phoenix to a 28-5 overall record and an appearance in the NCAA Tournament. His squad went 16-2 in Horizon League contests and clinched its 18th-consecutive Horizon League championship this past season. 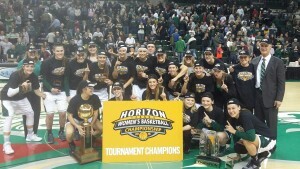 The Phoenix also claimed the HL Tournament title after rolling past in-state rival Milwaukee 64-32. The award is given annually to only a single coach in Wisconsin that is considered to have exceeded expectations and led their program to new heights. 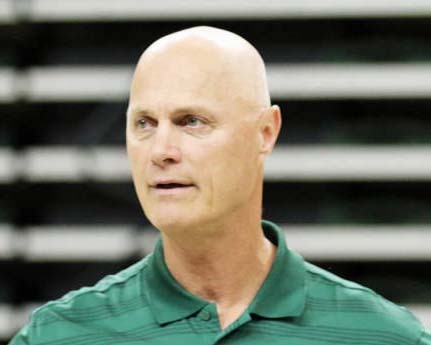 The award will be presented to Borseth this September at the annual WBCA Hall of Fame Awards Banquet. 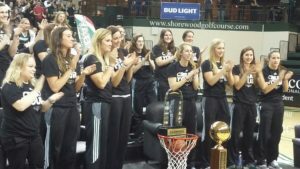 The Green Bay Phoenix women’s basketball team captured the 2016 Horizon League Tournament Championship, rolling to a 64-32 win over the Milwaukee Panthers at the Kress Center in Green Bay.